Winter has been doing a number on my skin y’all. As much as I love the cold weather, I don’t like the way it dries out my skin. Not even my beloved after-shower lotion has been helping. Since my skin is so pale, you can spot dry skin on me a mile away because I look like a ghost with bright red spots (from scratching). 😉 Since that’s not the look I’m going for this season (😳), I decided to dig out my trusty whipped body butter recipe. The recipe is from my crunchy days. Right after I was diagnosed with Multiple Sclerosis, I started using all natural products, organic products, or products I could make myself. I didn’t want any chemicals exacerbating or contributing to the course of my MS. I eventually drifted away from making all of my products (I still make a few) because of time restraints and a bit of laziness. Why make it when you can buy it, right? Well, sometimes the homemade potions work better than store-bought. 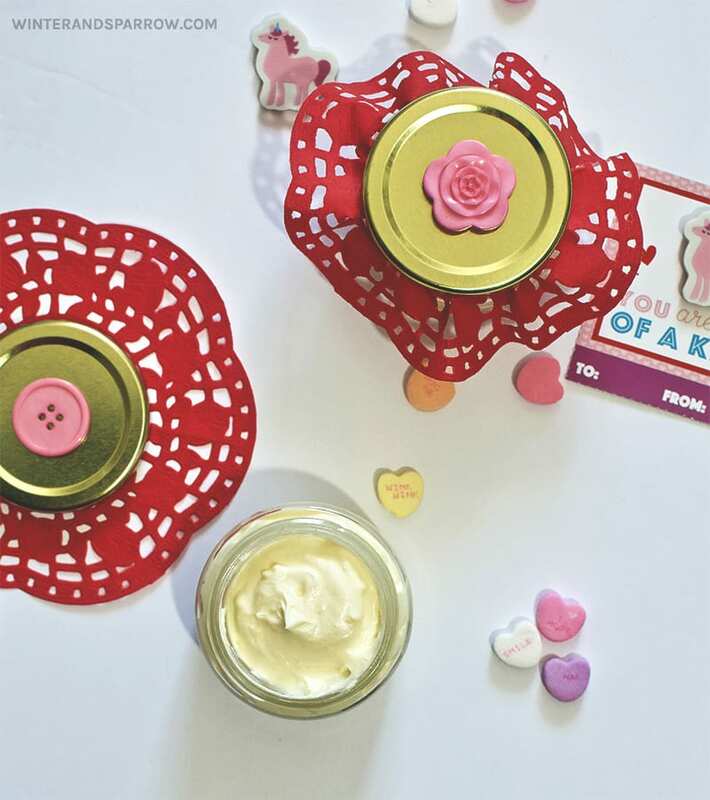 This whipped body butter is a prime example. Since I started using it twice a day, my skin is no longer itchy and dried out. 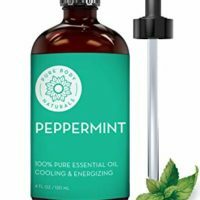 I’ve even got an extra pep in my step thanks to the invigorating smell of peppermint. Since Valentine’s Day is coming, I made one jar for myself and one for my hubby. I added a paper lace doily between the lid and jar and glued on a decorative button just to fancy it up a bit. I would’ve painted the lid a cute pink or red color but the day I made this, it was freezing cold and rainy outside and I knew the paint wouldn’t dry properly. Tip: Use latex spray paint on lids that are slick. It looks better and stays on better than acrylic paint. 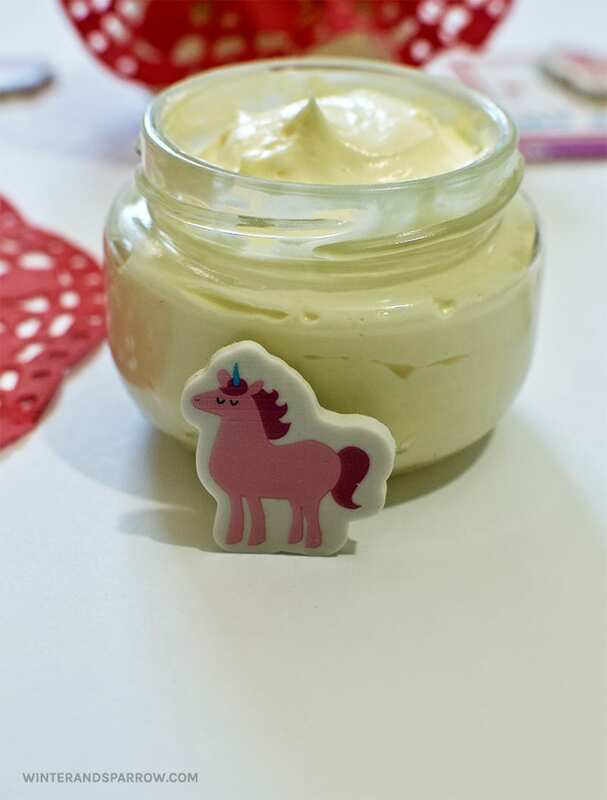 I found another set of unicorn-themed Valentine’s Day cards at the Target dollar spot (similar to the ones I used with the pink sugar coconut scrub) so I added one to my husband’s jar with some twine and a hole punch (not pictured). He’s suffering from dry skin too so I know this is one gift he’ll use. If you’re into unicorns like I am, check out our FREE unicorn Valentine’s Day cards. Also, please note that this recipe calls for refined shea butter (not unrefined). I’m not a fan of unrefined shea butter because I don’t like the smell. If you’ve never smelled it before, it reminds me of rotten chocolate. Actually, dirt mixed with rotten chocolate. Yuck. 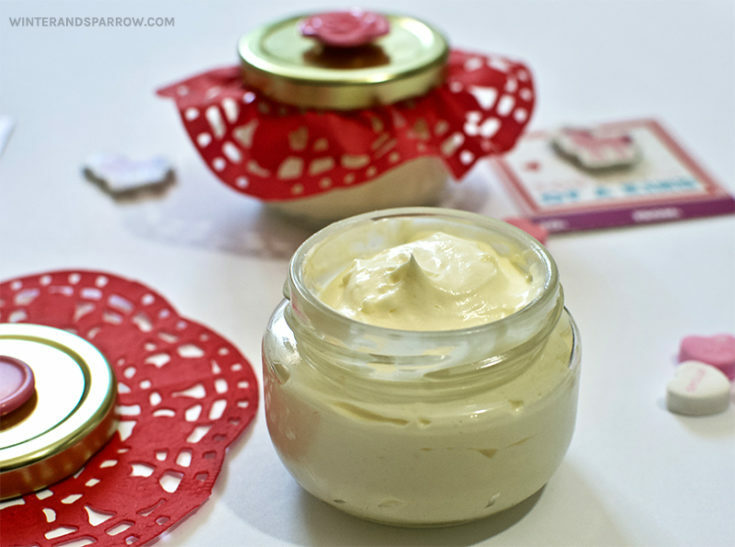 That’s why I used refined shea butter for this body butter recipe. No bad odors. Just peppermint goodness. 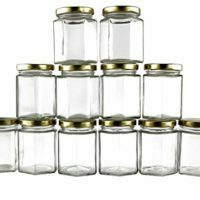 If you’d like to learn a bit more about the differences between refined and unrefined, refer to this article. 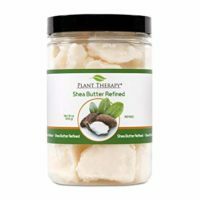 In the article, you’ll notice that they mention that the refining process may remove the health benefits of the shea butter. Since rosehip oil is filled with antioxidants o’plenty, I’m not worried about what’s missing in the shea butter. 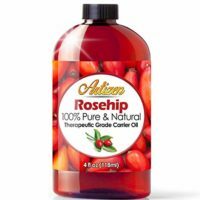 Rosehip oil has plenty of good stuff to go around! 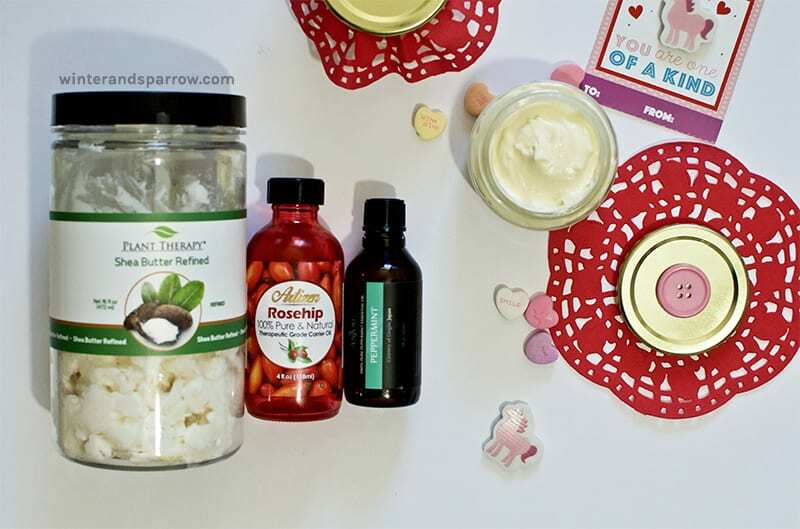 In a glass bowl, add the shea butter and rosehip oil (or other carrier oil). Use mixer to combine. 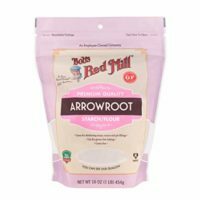 Add arrowroot powder and beat until mixture reaches a thick, smooth consistency. Add essential oil and combine until disbursed. If you like your products lightly scented like I do, don't go over 14 drops of essential oil. 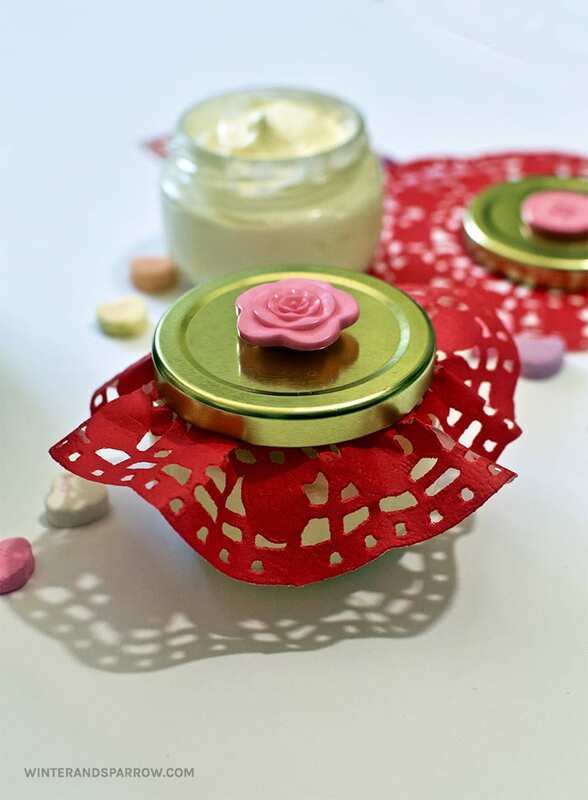 If your whipped body butter is too thin, add another teaspoon of arrowroot powder. You can also add additional shea butter. A little bit goes a long way so scoop out a dime-sized amount and apply to skin. It may take a few minutes to absorb. Reapply as needed. Store at room temperature. Best if used within 6 months. Not ready to make this now? Pin to your Pinterest board.